The 6″ offset easy off aluminum tarp stop upright is usually used when a tarp has a ridgepole pipe. Its sleek design is thanks to Shur-lok’s ongoing research to better its tarp system. 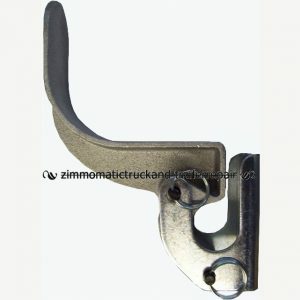 In fact, we have the newest style of both the 6″ offset and the standard tarp stop uprights, SL1705775. Shurco has added a slight backward twist to the very tops of both to avoid pressure on your tarp every time it is rolled over against the stops. 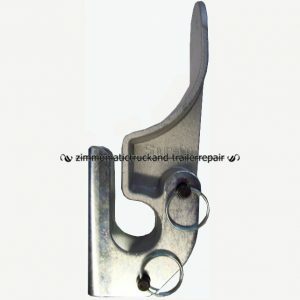 This also minimizes the chance of cutting from continuous wear. You can know that you are in good hands if a Shur-lok tarp covers your load and Zimm-o-matic does your repair work. The 6 inch offset easy off aluminum tarp stop upright is designed for tarps with ridgepoles. This gives more room on the side to get the tarp further off the trailer. The 6″ offset allows your whole tarp to get off the edge of the trailer. 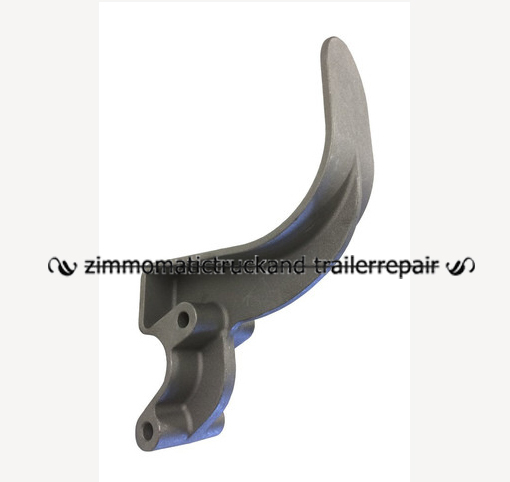 This reduces the risk of damage by the loader or the load itself. 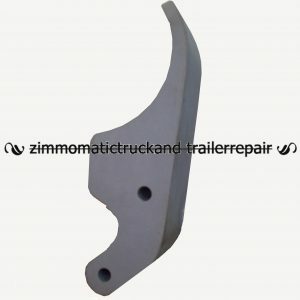 The design of this forged aluminum offset allows it to snap off on impact rather than damaging the side of your trailer by ripping out the tarp stop body. If you need the entire kit, including pins, tarp stop body, and upright, click this link to purchase the 6″ offset easy off aluminum tarp stop assembly, SL1124783. 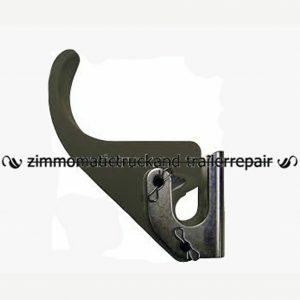 The 6″ offset easy off flexible tarp stop upright, SL1115217 may also interest you.